The February One Monument On February 1, 1960, North Carolina A&T University students David Richmond, Franklin McCain, Ezell Blair Jr. (Jibreel Khazan) and Joseph McNeil carried out the infamous lunch counter sit-in at the Greensboro North Carolina F.W. Woolworth store. 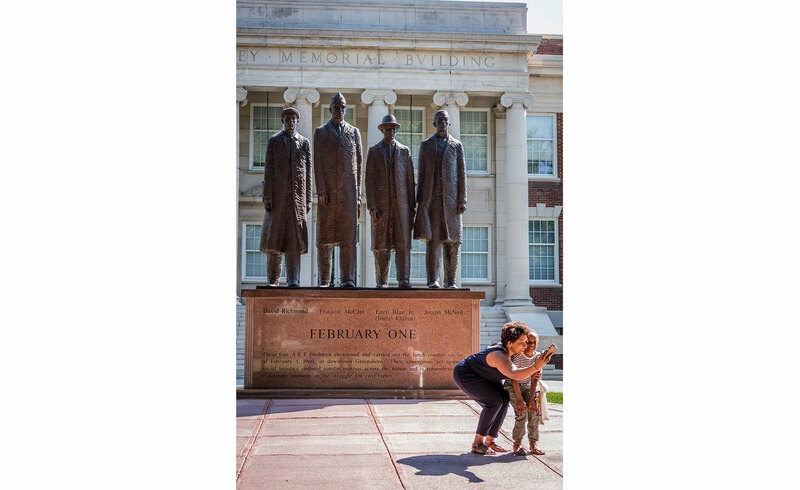 An outdoor statue of the four brave men marks their place in our nation’s civil rights history.